Wonder Woman is easily the best DCEU movie at the moment. A witty, humorous script backed by excellent performances, especially by lead Gal Gadot, elevate the material. However, the third act nearly undoes much of what had come before by forcing a silly, generic "boss battle" at the end. 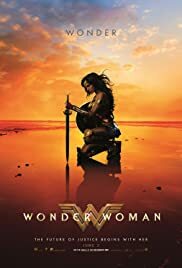 As good as Wonder Woman is, it's failure to stick the landing in terms of the story and the ideas and themes it laid out earlier in the movie is what is most frustrating. While it certainly stands among the best comic book adaptations, the fact is that it should be up there with The Dark Knight and Logan, but it falls just short.